Hello fellow teachers, what have you been doing these past 5, 10 or even 15 years in school? Some of you would have upgraded your professional skills in teaching or maybe even improving your communication skills with your kids’parents. But, have you made more money out of all of this? Have you got an increase in salary or are you just the same with all the other teachers’ out there? Or worst yet, you haven’t even gotten a raise these all these years!! 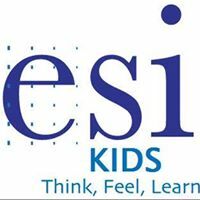 We at ESI KIDS, look and conclude that the main problem is not how good you are in the classroom, or how many certificates that you have collected. But the BIGGEST PROBLEM lies in the mindset of every teacher, like YOU. The TEACHER MINDSET would only bring you to a stagnancy of earning. The TEACHERPRENEUR MINDSET will help you to unlock keys on how to perform well BEYOND the classroom and create multiple income. Would you agree that making more value in yourself and making more money is a GREAT thing to do? We can help YOU master how to unlock YOUR potentials, don’t worry. Let us help you to use YOUR passion in teaching as the KEY to financial freedom. We have created this opportunity just for YOU, with our Teacherpreneurs - coaches and trainers to share how their TEACHERPRENEUR MINDSET has changed their income for their family. First, we have Ms. Shareen Ratnani, she’s a Co-Founder of Kiddie Planet Montessori Indonesia. Her passion in Montessori is for hands on learning. Shareen has over 17 years as an educator and 10 years as teacher trainer. She has been conducting workshops in internationally, especially Indonesia. Also, there’s Ms Pamela Seagal as the Founder and Curriculum Developer of ESI KIDS, Singapore. 20 years experience in education and training from curriculum development, teacher training and management. She pioneered the 1st iSocial and Emotional Learning (SEL) curriculum in ASEAN and Singapore. Her curriculum has been used in 150 branches in Singapore’s Government Childcare Chain, NTUC. Their proven methods and mindset will show you how to monetize the skills, and capability that you have in order for you to get more MONEY. 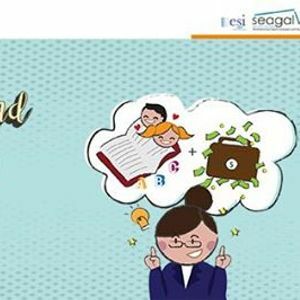 And show you how to DREAM AND EARN BEYOND THE CLASSROOM? So, how can Teacherpreneurship be applied in our school environment to EARN MORE MONEY BEYOND THE CLASSROOM? Find out more and join our “Be a Teacherpreneur Workshop” on Saturday 6 April 2019, 10.30 a.m. to 13.30p.m. at Go Work. Chubb Square 8th floor UOB Plaza Jl. MH. Thamrin No. 10 Jakarta. It’s only IDR 50,000 but you’re getting a value worth IDR 4,000,000!! Hurry, seats are LIMITED ! !